Tuscany is one of the most popular regions in Italy and the people living in the cities of Tuscany will tell you it is because the diversity of its cities. 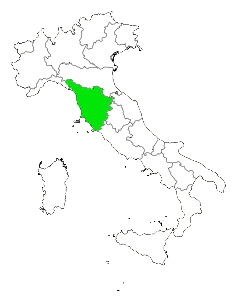 Tuscany is about 8,887 square miles in size and from the northern most part of Tuscany to the southern end is about 190 miles, and from the sea to its eastern most part is about 125 miles making the entire region easily accessible by car in only a few hours. Tuscany but there are still close to 100 museums located throughout the other cities making it easy to visit museums almost anywhere. One note to mention when staying if Florence because of its size and numbers of museums and other attractions, there is also an abundance of guided tours available to choose from which could make your day a little easier. Florence isn’t the only famous city in Tuscany as Pisa home of the famous leaning tower is only about 40 miles from Florence, Pisa besides having the leaning tower also has a Cathedral there as well as the baptistery which is only a few feet away. Other notable towns include Siena, Lucca and Livorno, all of which are between 40 and 50 miles from Florence. Moving between the major cities in Tuscany is fairly easy as there are about five bus companies serving the region. Most of these companies have terminals near the central train in Florence but are also located in the other big cities of the region.